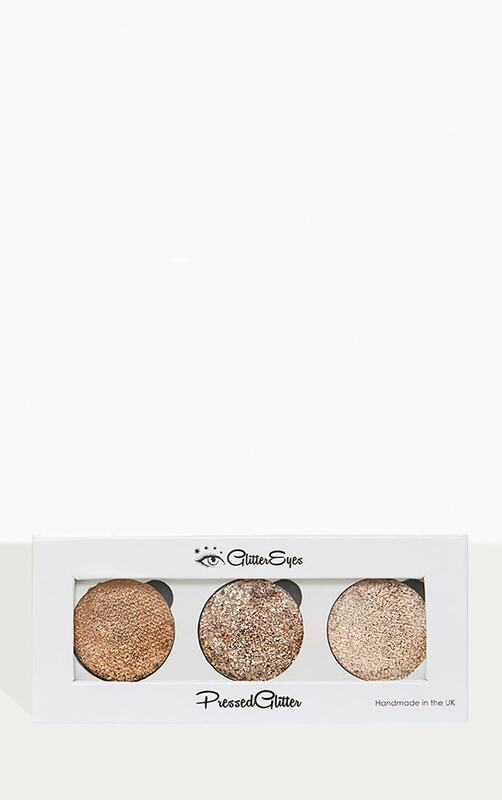 GlitterEyes Cappuccino Trio Sparkle is a girl's best friend, these pressed glitters are a dream to work with, no glue, no mess, it is an essential that you won't be able to keep your hands off. They are easy to wipe off and are waterproof! 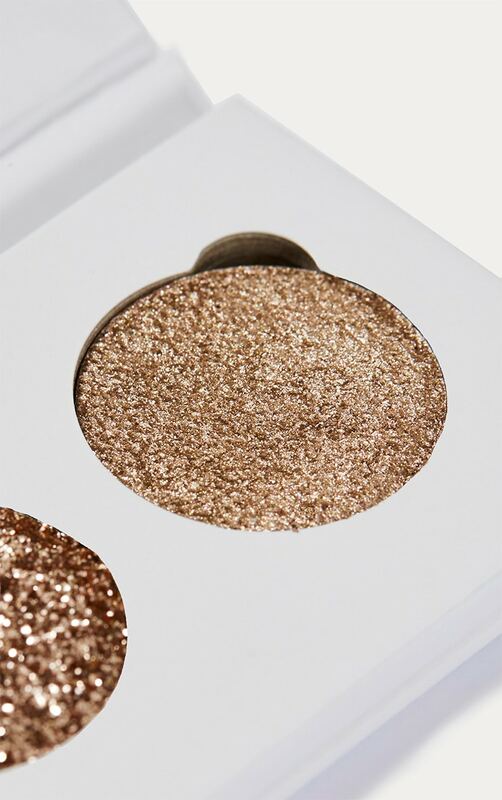 The performance of these shimmers are second to none, the pigmentation, durability and payoff is of the very highest quality. 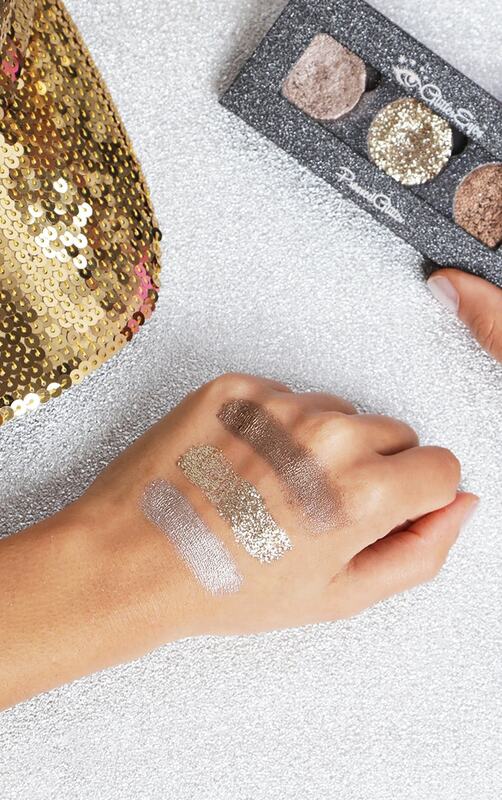 They feel like silk to the touch, super long lasting and so easy to blend.We advise to use at your own discretion, if not confident applying glitter around the eyes or lips please use to beautify other area • Made in the UK • Animal Cruelty Free • Use at your own discretion • Acceptable for 3 years and older Ingredients Cosmetic Grade Glitter, Vegetable Glycerine binding agent), Alcohol Denate (sanitising medium/preservative).